Entdecke unsere Welt der Sonnenbrillen. 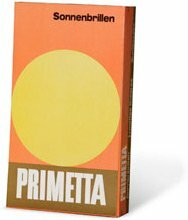 Freuen Sie sich auf Sonnenbrillen und mehr in Perfektion – von PRIMETTA. Reading glasses must meet the European directive concerning medical devices. Supported by independent testing facilities we make sure that all legal requirements are met. 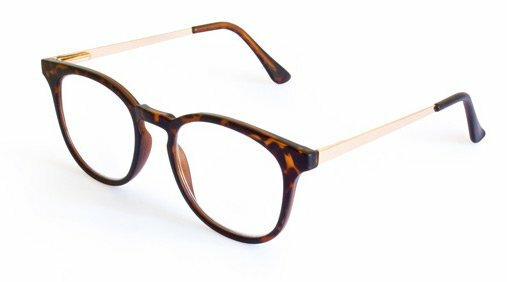 High quality Reading Glasses in various colors, shapes and optical powers. Quality goods demand an adequate presentation. ou have the choice: Various types of stands cater for an effective yet easy to handle appearance. Counter stands, small and large floor stands with a capacity from 24 up to 202 sunglasses. Choose between different colors and materials to match the interior design of your shop. The stands are easy to clean, sturdy and as a matter of course fully recycable. Additional benefit: The pull-off pad at the stand provides the consumer with the necessary information by law. Floor stands of Primetta are available in various types. Styles sold out? No problem. Your individual reorders will be delivered usually within 48 hours. Exchange of justified claims and styles not wanted is a further service of PRIMETTA – for you free of charge. The Primetta sales force is known for their professional advice to maximize your sales. Benefit from the experience our staff! They know the marketplace for many years, know what they are talking about and are eager to give your sales the essential push. Erwachsenen-Sonnenbrillen in attraktiven Einstiegspreis­lagen. Colorful, plain, modern, classical, bold, conservative. Route 66 bedeutet Freiheit, Abenteuer und Nostalgie! Dies finden Sie in der Route 66-Collection. Schlichtes und prägnantes Design symbolisieren das Zeitlose der Route 66. Young fashion can be bold. The primary target group of 16-25 finds the right selection in this line. Many styles are avalable in beefy fashion colors. Orientiert an der kalifornischen Beachwear-Szene. Genau das Richtige für den modebewussten, sportlichen Menschen. In dieser Kollektion finden Sie den Basefield Style wieder. Passend für das legere Businessoutfit, die zeitgemäße Damenmode oder den sportlichen Freizeitlook mit dem gewissen Etwas. 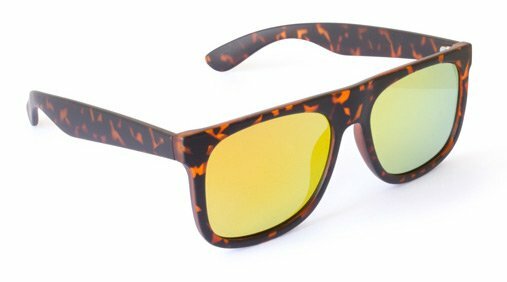 Sunglasses for the fashion-conscious man! From desire for nonchalance to exciting appealing. Die Teamsportmarke für nahezu jede Art von Outdoorsport. The characteristic design primps not only the sportsmen. Die bunten aber auch modischen Modelle aus sehr stabilem Material machen auch den Jüngsten Spaß (geeignet ab 5 Jahren). Mawaii steht sowohl für ein buntes und farbenfrohes Lebensgefühl wie auch für Fashion. Hier findet der modebewusste, trendige und sportliche Kunde – ob Mann oder Frau – genau die passende Sonnenbrille. Und das mit polarisierenden Gläsern in tollen Preislagen. The HEAD sunglasses collection, numerous new sportive styles in the hummel and Back in Black line plus the Back in Black goggles for good vision in all weather conditions. Reading glasses are subject to the medical device law. Therefore it makes sense to buy the product from a reliable supplier. The new sunglasses collections from Primetta are stylish, offer a variety of brands, 100% UV protection and brand quality. The company was founded in 1928 by August Wulf. Production of sunglasses started already in 1936. Daily production reached a level of 25,000 pair of sunglasses in 1954. Another 30 years later Primetta sunglasses were available in 85% of the better department stores in Germany, Great Britain and U.S.A.
From Miami Vice sunglasses and the Michael Schumacher collection to the present range of brands, Primetta offers a unique combination of powerful brands and popular price points to the retail trade. Service means for us extensive POS material, intensive customer support and swift trouble shooting by our sales force directly at the point of sale. Our customer base benefiting from this package of marketing and service is diversified amongst optical stores, airport shops, department stores, sporting goods retailers, amusement parks etc. Lady with sunglasses photo by Matthew Hamilton on Unsplash Unsplash. We are very delighted that you have shown interest in our enterprise. Data protection is of a particularly high priority for the managements of the PRIMETTA GmbH & Co. KG and its affiliated companies (hereinafter collectively referred to as “Primetta”. The use of the Internet pages of Primetta is possible without any indication of personal data; however, if a data subject wants to use special enterprise services via our website, processing of personal data could become necessary. If the processing of personal data is necessary and there is no statutory basis for such processing, we generally obtain consent from the data subject. The processing of personal data, such as the name, address, e-mail address, or telephone number of a data subject shall always be in line with the General Data Protection Regulation (GDPR), and in accordance with the country-specific data protection regulations applicable to Primetta. By means of this data protection declaration, our enterprise would like to inform the general public of the nature, scope, and purpose of the personal data we collect, use and process. Furthermore, data subjects are informed, by means of this data protection declaration, of the rights to which they are entitled. As the controller, Primetta has implemented numerous technical and organizational measures to ensure the most complete protection of personal data processed through this website. However, Internet-based data transmissions may in principle have security gaps, so absolute protection may not be guaranteed. For this reason, every data subject is free to transfer personal data to us via alternative means, e.g. by telephone. The data protection declaration of Primetta is based on the terms used by the European legislator for the adoption of the General Data Protection Regulation (GDPR). Our data protection declaration should be legible and understandable for the general public, as well as our customers and business partners. To ensure this, we would like to first explain the terminology used. The websites Primetta collect a series of general data and information when a data subject or automated system calls up the websites. This general data and information are stored in the server log files. Collected may be (1) the browser types and versions used, (2) the operating system used by the accessing system, (3) the website from which an accessing system reaches our website (so-called referrers), (4) the sub-websites, (5) the date and time of access to the Internet site, (6) an Internet protocol address (IP address), (7) the Internet service provider of the accessing system, and (8) any other similar data and information that may be used in the event of attacks on our information technology systems. When using these general data and information, Primetta does not draw any conclusions about the data subject. Rather, this information is needed to (1) deliver the content of our website correctly, (2) optimize the content of our website as well as its advertisement, (3) ensure the long-term viability of our information technology systems and website technology, and (4) provide law enforcement authorities with the information necessary for criminal prosecution in case of a cyber-attack. Therefore, Primetta analyzes anonymously collected data and information statistically, with the aim of increasing the data protection and data security of our enterprise, and to ensure an optimal level of protection for the personal data we process. The anonymous data of the server log files are stored separately from all personal data provided by a data subject. On the websites of Primetta, users are given the opportunity to subscribe to our enterprise's newsletter. The input mask used for this purpose determines what personal data are transmitted, as well as when the newsletter is ordered from the controller. Primetta informs its customers and business partners regularly by means of a newsletter about enterprise offers. The enterprise's newsletter may only be received by the data subject if (1) the data subject has a valid e-mail address and (2) the data subject registers for the newsletter shipping. A confirmation e-mail will be sent to the e-mail address registered by a data subject for the first time for newsletter shipping, for legal reasons, in the double opt-in procedure. This confirmation e-mail is used to prove whether the owner of the e-mail address as the data subject is authorized to receive the newsletter. The newsletters of Primetta contain so-called tracking pixels. A tracking pixel is a miniature graphic embedded in such e-mails, which are sent in HTML format to enable log file recording and analysis. This allows a statistical analysis of the success or failure of online marketing campaigns. Based on the embedded tracking pixel, Primetta may see if and when an e-mail was opened by a data subject, and which links in the e-mail were called up by data subjects. Such personal data collected in the tracking pixels contained in the newsletters are stored and analyzed by the controller or its Processor in order to optimize the shipping of the newsletter, as well as to adapt the content of future newsletters even better to the interests of the data subject. Data subjects are at any time entitled to revoke the respective separate declaration of consent issued by means of the double-opt-in procedure. After a revocation, these personal data will be deleted by the controller. Primetta automatically regards a withdrawal from the receipt of the newsletter as a revocation. The websites of Primetta contain information that enables a quick electronic contact to our enterprise, as well as direct communication with us, which also includes a general address of the so-called electronic mail (e-mail address). If a data subject contacts the controller by e-mail or via a contact form, the personal data transmitted by the data subject are automatically stored. Such personal data transmitted on a voluntary basis by a data subject to the data controller are stored for the purpose of processing or contacting the data subject. There is no transfer of this personal data to third parties. Primetta offers users the possibility to leave individual comments on individual blog contributions on a blog, which is on the website of the controller. A blog is a web-based, publicly-accessible portal, through which one or more people called bloggers or web-bloggers may post articles or write down thoughts in so-called blogposts. 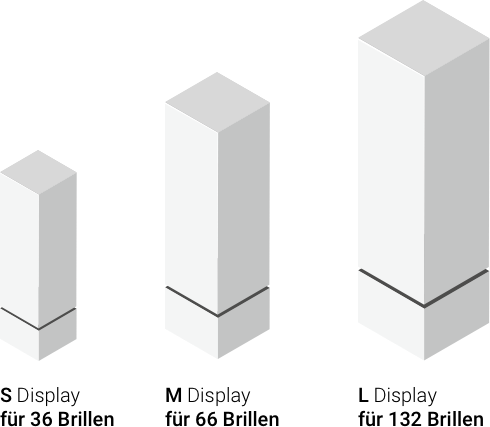 Blogposts may usually be commented by third parties. If one of the aforementioned reasons applies, and a data subject wishes to request the erasure of personal data stored by Primetta, he or she may at any time contact our Data Protection Officer or another employee of the controller. The Data Protection Officer Primetta or another employee shall promptly ensure that the erasure request is complied with immediately. Where the controller has made personal data public and is obliged pursuant to Article 17(1) to erase the personal data, the controller, taking account of available technology and the cost of implementation, shall take reasonable steps, including technical measures, to inform other controllers processing the personal data that the data subject has requested erasure by such controllers of any links to, or copy or replication of, those personal data, as far as processing is not required. The Data Protection Officer of Primetta or another employee will arrange the necessary measures in individual cases. If one of the aforementioned conditions is met, and a data subject wishes to request the restriction of the processing of personal data stored by Primetta, he or she may at any time contact our Data Protection Officer or another employee of the controller. The Data Protection Officer of Primetta or another employee will arrange the restriction of the processing. In order to assert the right to data portability, the data subject may at any time contact the Data Protection Officer designated by Primetta or another employee. Primetta shall no longer process the personal data in the event of the objection, unless we can demonstrate compelling legitimate grounds for the processing which override the interests, rights and freedoms of the data subject, or for the establishment, exercise or defence of legal claims. If Primetta processes personal data for direct marketing purposes, the data subject shall have the right to object at any time to processing of personal data concerning him or her for such marketing. This applies to profiling to the extent that it is related to such direct marketing. If the data subject objects to Primetta to the processing for direct marketing purposes, Primetta will no longer process the personal data for these purposes. In addition, the data subject has the right, on grounds relating to his or her particular situation, to object to processing of personal data concerning him or her by Primetta for scientific or historical research purposes, or for statistical purposes pursuant to Article 89(1) of the GDPR, unless the processing is necessary for the performance of a task carried out for reasons of public interest. In order to exercise the right to object, the data subject may directly contact the Data Protection Officer of Primetta or another employee. In addition, the data subject is free in the context of the use of information society services, and notwithstanding Directive 2002/58/EC, to use his or her right to object by automated means using technical specifications. If the decision (1) is necessary for entering into, or the performance of, a contract between the data subject and a data controller, or (2) it is based on the data subject's explicit consent, Primetta shall implement suitable measures to safeguard the data subject's rights and freedoms and legitimate interests, at least the right to obtain human intervention on the part of the controller, to express his or her point of view and contest the decision. If the data subject wishes to exercise the rights concerning automated individual decision-making, he or she may at any time directly contact our Data Protection Officer of Primetta or another employee of the controller. If the data subject wishes to exercise the right to withdraw the consent, he or she may at any time directly contact our Data Protection Officer of Primetta or another employee of the controller. The data collected are anonymous to us, so do not provide us with any conclusions about the identity of the users. However, the data are stored and processed by Facebook, so that a connection to the respective user profile is possible and Facebook can use the data for its own advertising purposes, according to the Facebook data usage directive (https://www.facebook.com/about/privacy/). You can enable Facebook and its affiliates to display ads on and off Facebook. It may also be stored for these purposes, a cookie on your computer.